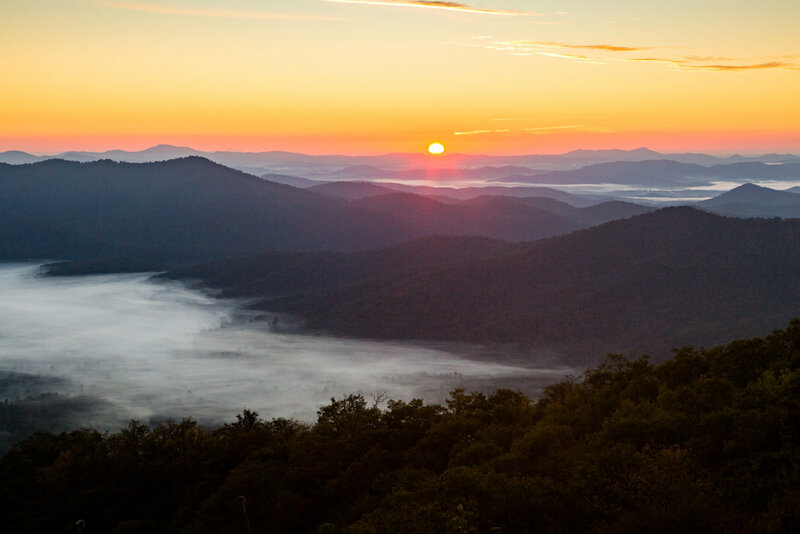 The Blue Ridge Mountains in North Carolina have the topography and climate to display a wondrous weather phenomenon - but to witness it, good timing and a bit of luck are key. The Blue Ridge Mountains, which stretch from Pennsylvania to Georgia across the eastern U.S., feature approximately 125 peaks that exceed 5,000-foot elevations. 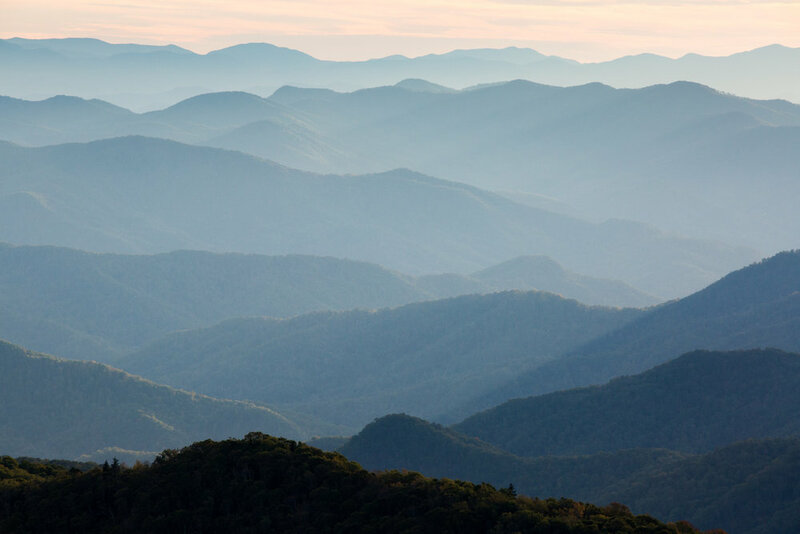 The range passes through western North Carolina, from where 180-degree views to the east and west are possible when standing at the range's center - a vantage point that showcases ridgeline upon ridgeline and valley after valley. But perhaps most spectacularly, the geographic area experiences four seasons and a moist climate, factors that can contribute to unique weather phenomena - 'thermal inversion' and a sea of clouds beneath your feet. In a typical weather scenario, air temperature decreases as elevation increases. With thermal inversion, it's the opposite; it gets warmer as you get higher. During the day, the mountaintops are cooler than the valleys. But once the sun goes down, that denser cold air on top starts to sink into the valley. If conditions are exactly right, the cold air will mix with moisture in the air to form a sea of clouds by morning, presenting a remarkable sight for anyone awake at sunrise. Thermal inversions can develop in many places around the world. However, the combination of topography and climate in western North Carolina offers some of the most wonderful chances to witness it. During thermal inversion, the cold air sinking into the valleys overnight mixes with the moisture, and forms clouds or fog. There is ample amount of moisture throughout the Blue Ridge Mountains in western North Carolina. Periodic rainfall, high relative humidity and a landscape encompassing natural bodies of water - ponds, lakes, rivers and creeks - are all contributing factors. The most striking feature of the cloud formations, though, is the way they seem to come alive. The undulating, wave-like motion is not caused by the cold and warm air mixing, but instead by some kind of disturbance in the atmosphere - a gentle breeze, a car passing by or birds flying through the air. As that waveform runs into the mountains, its energy is reflected back into the sea of clouds and continues the undulation. Jake Crouch, a physical scientist and meteorologist with National Oceanic and Atmospheric Association (NOAA), explains the phenomenon and characteristics of thermal inversion. 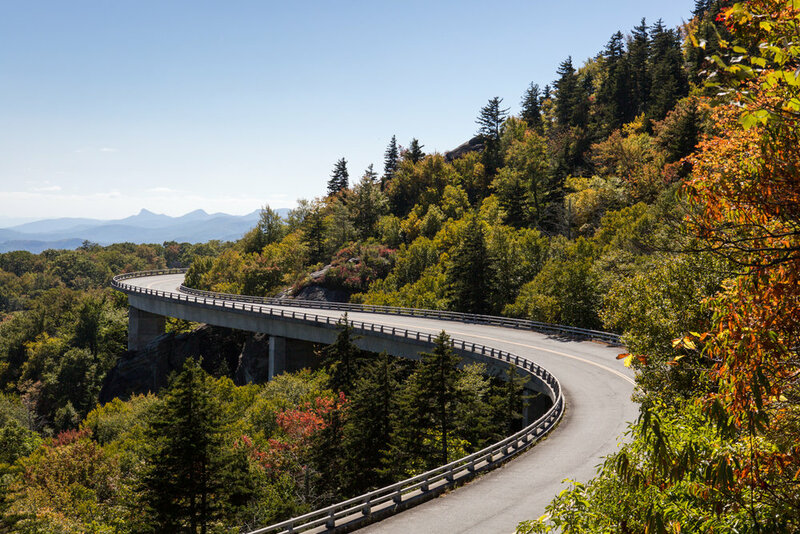 The city of Asheville is at the heart of western North Carolina, and its main artery to the mountains is the Blue Ridge Parkway, which winds along the ridgeline, reaching as high as 6,053 ft. The route meanders through scenic landscapes and is dotted with frequent overlooks, beautiful bridges and a viaduct at Linn Cove (pictured below). Searching for a sea of clouds due to thermal inversion likens itself to a treasure hunt. Even if the conditions are right, it's uncertain where exactly the clouds will form. Hiking ridgelines or summiting a mountain peak are two options to see the weather event. But a more convenient means for exploring the landscape is driving the Parkway and looking beyond each bend in the road. A popular area to witness a sea of clouds is the Black Balsam Knob region, which is located within the Pisgah National Forest, an area that covers approximately 500,000 acres of the western North Carolina mountains. At an elevation of about 6,200ft, Black Balsam's high vantage point and unobstructed 360-degree views offer amazing panoramas to valleys below. Dispersed backcountry camping is permitted throughout the forest property, as long as it's at least 500ft from the road. Awakening at sunrise and peering out of a tent is a magical way to witness the weather event. 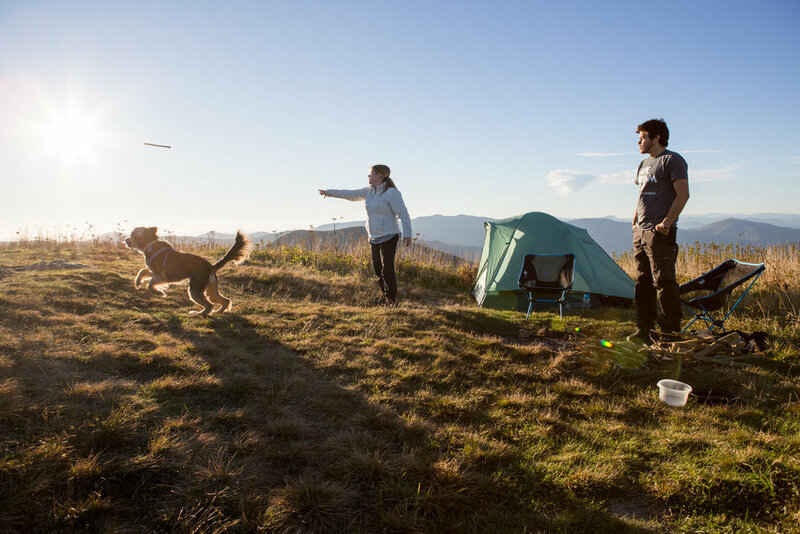 While camping near Black Balsam Knob, Kolea Coody looks on as his wife, Ashlee Coody, plays fetch with their dog, Meeko. In the morning after a thermal inversion, as the sun comes up and begins to heat the atmosphere, the airflow reverses direction. And with that reversal, the clouds move with it - this time up the mountain - as seen here. On average, it normally takes about one to two hours after sunrise for the clouds to dissipate. It is always difficult to predict when clouds will form, how thick they will be, what elevation they will reach and how long they'll last. The results depend on a gentle balance of atmospheric conditions. The clouds could form a shallow pool in a valley, envelope the entire mountain range or hover somewhere in between. It depends on how much cold air is present, where it settles and the abundance of moisture. Due to this unpredictability, there is a phrase commonly uttered along the Parkway, "If you don't like the weather now, just wait 10 minutes." 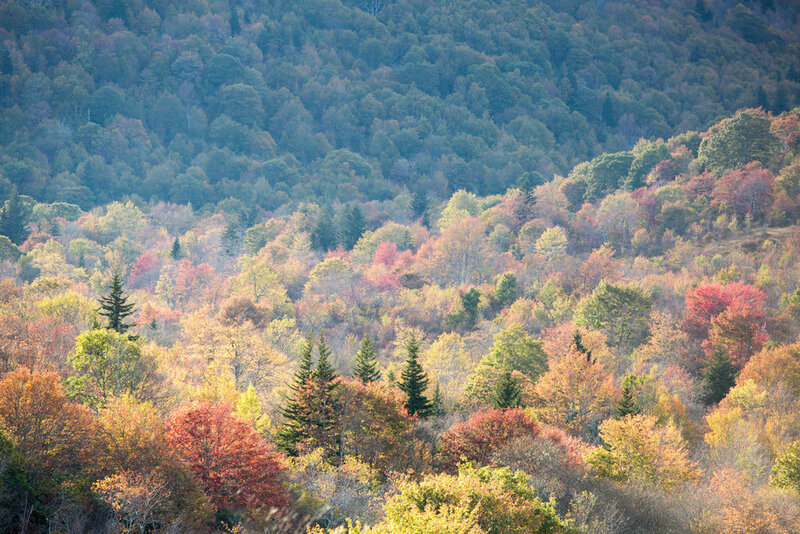 Thermal inversions within the Blue Ridge Mountains are favorable in autumn, due to the clear skies, cool temperatures, calm winds and longer nights - the same factors that contribute to fall foliage coloration. But they're never guaranteed. However, even if the thermal inversion does not occur, there are countless opportunities to explore other natural features in the region. Finding a location that overlooks a natural water source or knowing where rainfall occurred the day prior - both instances that add moisture to the environment - will increase the odds of witnessing the phenomenon. But the natural bodies of water not only contribute to the sea of clouds, but also act as places of recreation. Nestled throughout the Blue Ridge Mountains and along the Parkway are dozens of rivers and waterfalls, each with its own unique features and beautiful surroundings. One such area, Skinny Dip Falls (sorry, clothing is not optional), has a swimming hole and a set of cascading waterfalls. The falls are located at the end of a half-mile hike that commences from Looking Glass Overlook at milepost 417 and wanders throughout a tranquil forest. 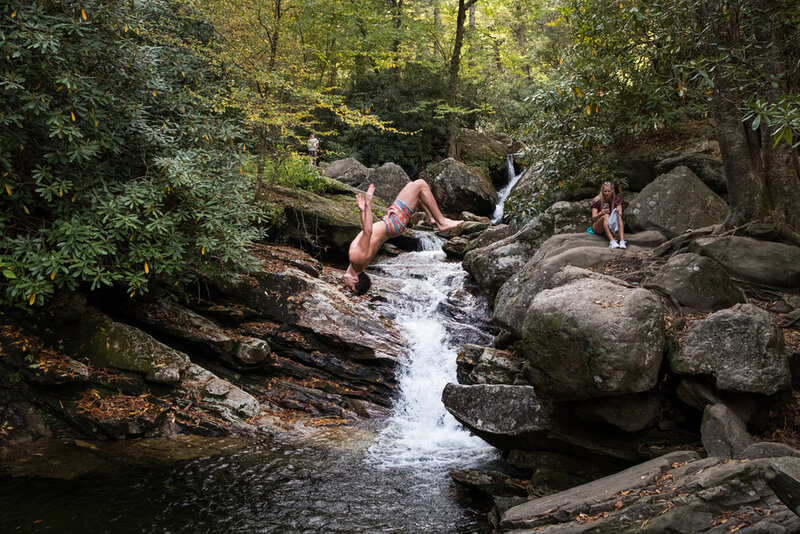 Pictured, Jake Minasi, a resident of South Carolina, does a backflip into the Skinny Dip Falls swimming hole. There are almost 370 miles of hiking trails along the entire Blue Ridge Parkway. With such abundant options, picking the right trail to witness an undulating sea of clouds might seem daunting. Since the clouds form in the valleys, trails with elevation gain that offer clear views or follow ridgelines are ones to consider. Hamilton Lopez, Michael Melendez, Christopher James Whitmire and Kyle Prohaska, all residents of nearby Brevard, North Carolina, rest after climbing the Art Loeb Trail, a ridgeline hike with expansive views to several valleys. Witnessing the results of thermal inversion amid a majestic mountain backdrop is a wonderful experience. But Mother Nature certainly makes the phenomenon elusive, unpredictable and surprising. Understanding the conditions, making a strategic plan and hoping for a bit of luck could help visitors uncover some true mountain magic.